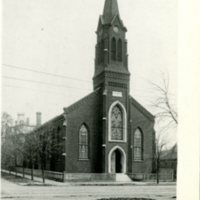 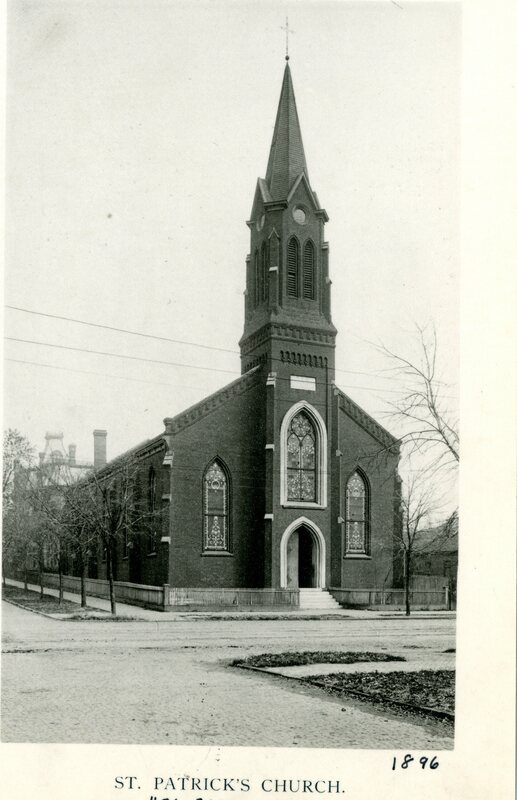 Photograph of St. Patrick's Church, 406 East North Street taken in 1896. 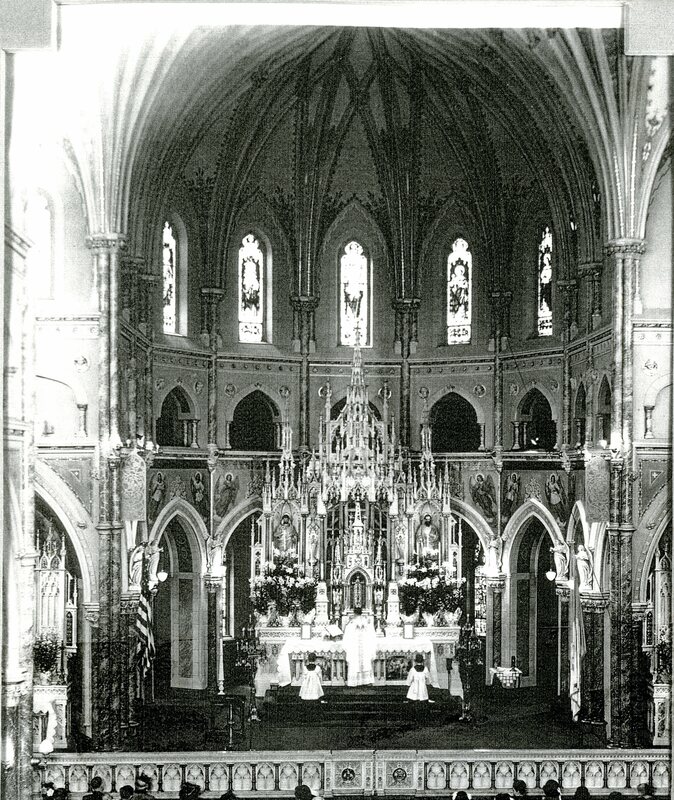 Photograph of interior of St. Patrick's during mass, church located on East Eldorado Street. 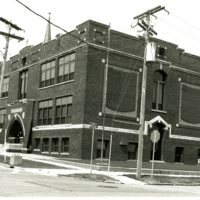 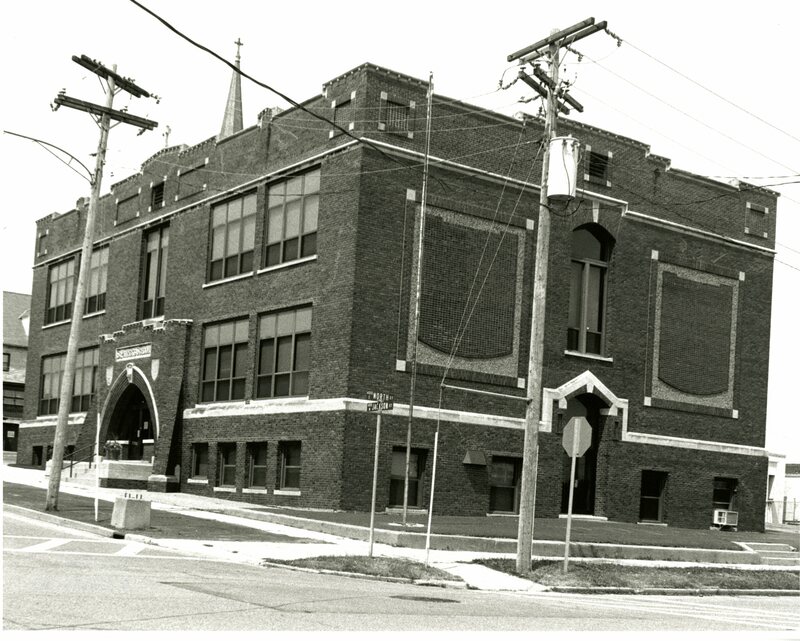 Photograph of St. Patrick's School, East Eldorado, taken Aug. 1996. 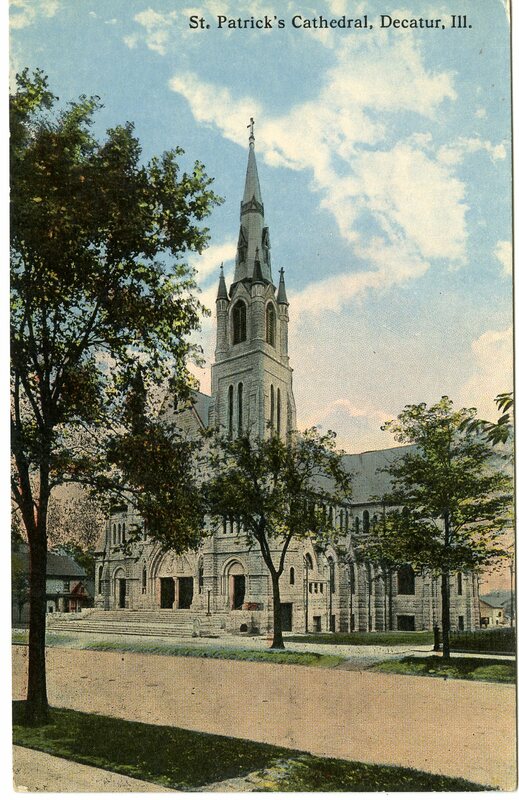 Postcard photograph of St. Patrick's Church. 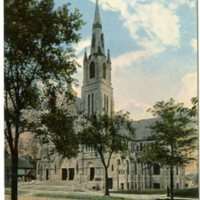 Churches, Roman Catholic, St. Patrick's, Photo File: Churches, Decatur, IL. 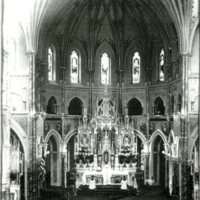 6 x 9" and 8 x 10"
unknown, “Photos of St. Patrick's Catholic Church,” Decatur Illinois Public Library Local History Photo Collection, accessed April 26, 2019, http://omeka.decaturlibrary.org/items/show/2909.